Overview: The smell of blood and brains is in the air, the living dead are EVERYWHERE! 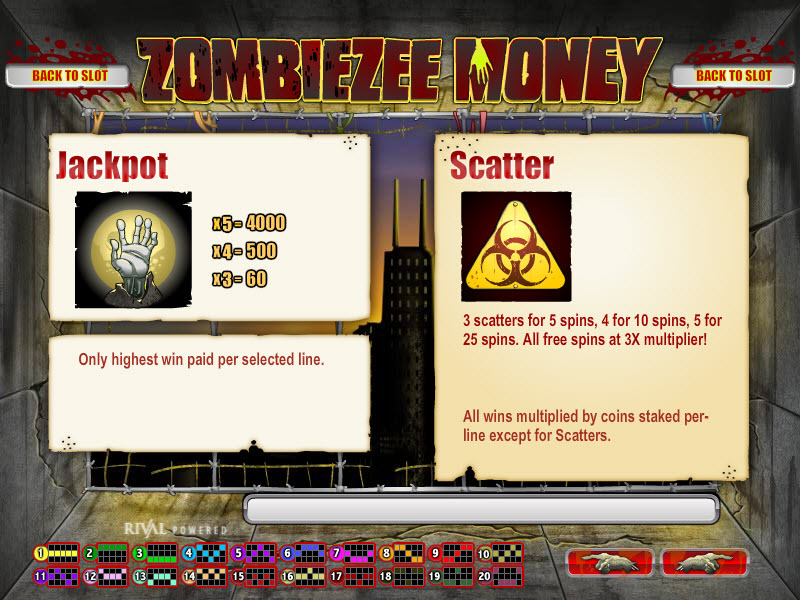 A zombie virus has infected this small town and everyone is in grave danger! It's up to you and a handful of resourceful survivors to make it out alive. 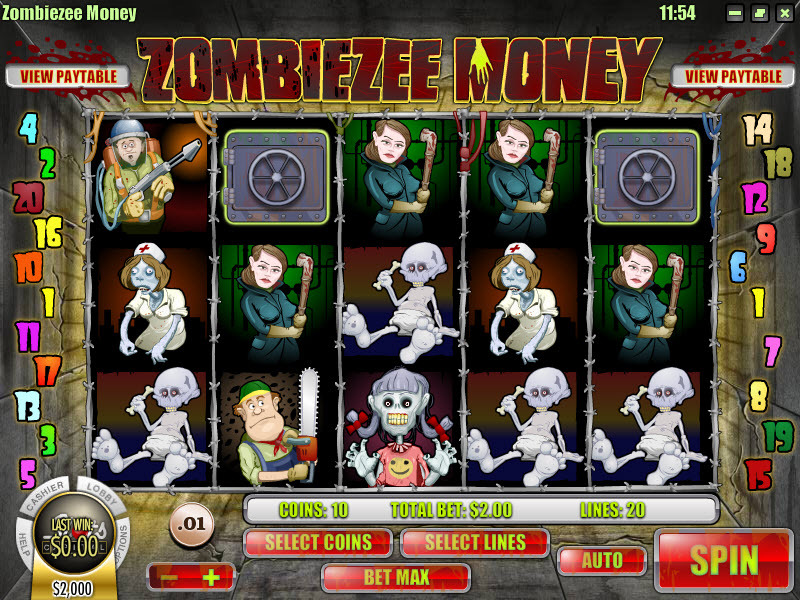 This dreadfully funny slot has a wide range of kooky and spooky characters. The leftover living folks have gathered their weapons to defend against the heaps of flesh eaters. There is Flaming Moe, Patty Pipeswinger, and Chainsaw Charley! 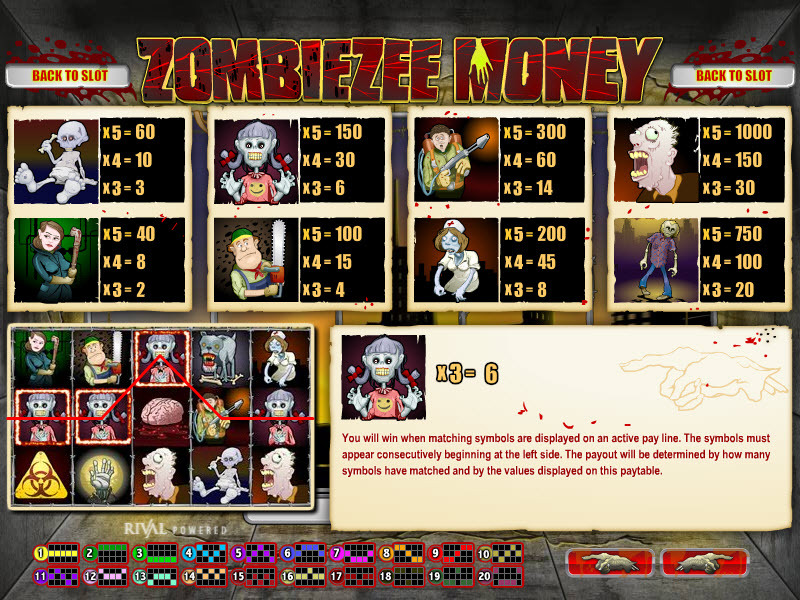 The undead side features a few favourite characters like Zombdaddy and Zomdaughter, Nurse Necros and the Zombaby, a Zomdoggy and a few other surprises! 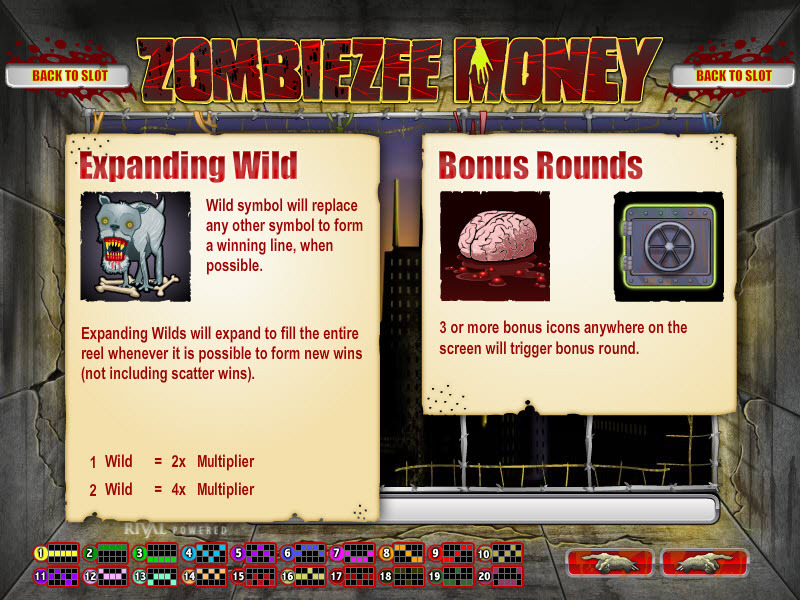 Similar Slots: If you like Zombiezee Money, you might like these other Rival video slot machines: Coins of Olympus, Fast Lane, Leonardo's Loot, Lion's Roar, So 80's.